The Humbucker is conveniently located in the heart of campus - two blocks from Camp Randall and two blocks from Union South. This modern style building was built in 2011, featuring a rooftop terrace, central air, and free moped and bicycle parking. All units are complete with a dishwasher, microwave, and elevator access. 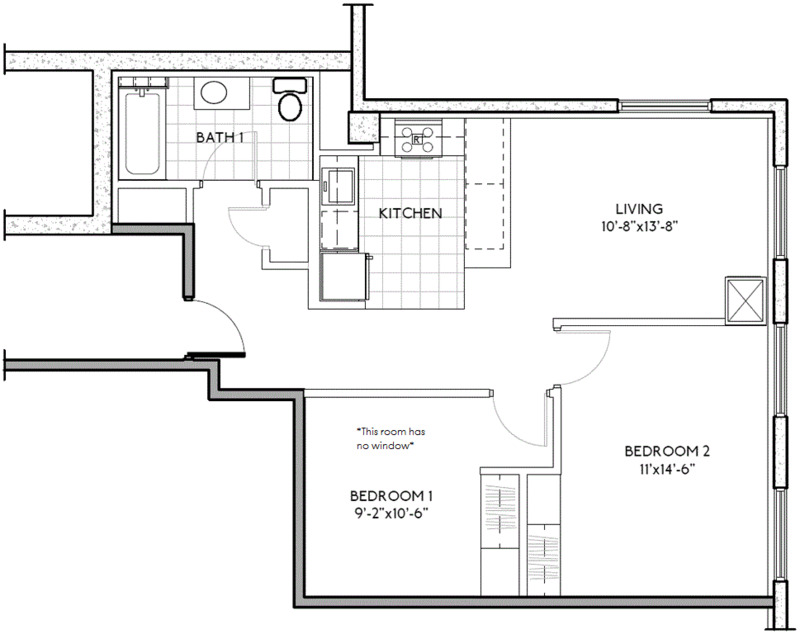 We offer units with balconies, as well as four handicap accessible units. All utilities, including cable and high speed internet, are included in the price of rent. The Humbucker is located near the Greenbush neighborhood just 0.74 miles from the center of Madison and 0.16 miles from University of Wisconsin-Madison. The property has a Walkscore of 7, so you will probably be driving or taking public transportation most of the time. The Humbucker has dozens of include Java Dock, Smith Bros. Coffee House, Baltica Bistro and Tea Room. There are a number of markets in the area include Walmart Supercenter, Sanfilippo's Sentry Foods, Bernie's Fine Meats. This area of Madison has many restaurants and bars nearby. Restaurants in the area include Subway, Beanies Mexican Restaurant, McDonald's. And there are a number of bars in the area include Vines To Cellars, Sir James Pub.